My favorite time to shoot macro is at sunrise, closely followed by those occasions where dew is present. I can shoot with just one of them, but prefer having both at the same time. I have been very fortunate over the last several weeks to have both. Dew adds another whole dimension to a photograph of small subjects, including flowers. This photo is a 9 shot image stack, all shot at the same setting, but at different focus points. 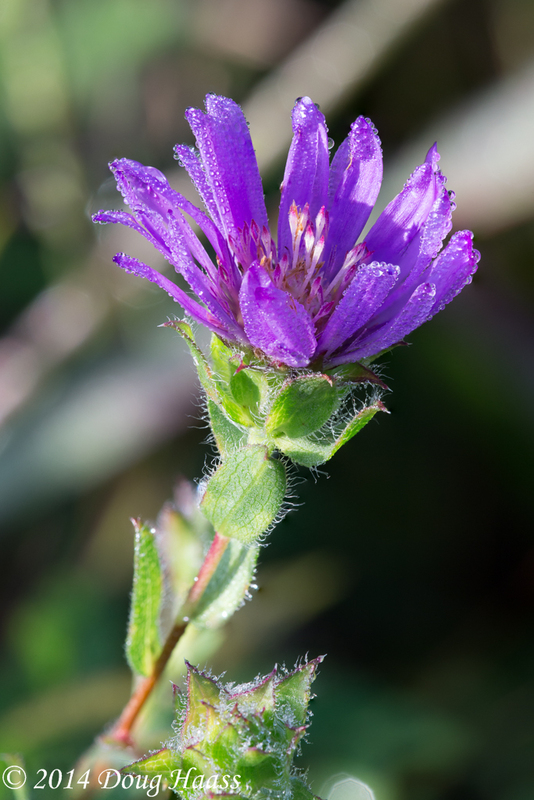 I was actually leaving the Lawther-Deer Park Prairie Preserve last Saturday, when out of the corner of my eye, I saw this flower glistening in the sunlight. Upon closer inspection I realized I wanted to capture it, and in turn I’m sharing it with you.